Unique tiles are made every day by hand for instillation in homes or for wall art. Blanc's studio has a mini-museum which shows the different kinds of local historical tiles that can be found in many Minnesota homes. Blancs shop is one of only 4 studios in the country that will do historic tile restoration. The Handmade Tile Association grew out of the Minneapolis studio of tile maker Josh Blanc, and today it boasts more than 100 members from around the country who are involved in the world of tile and mosaic art. Josh Blanc is also the owner of his own custom tile shop. Unique tiles are made every day by hand for instillation in homes or for wall art. His studio has a mini-museum which shows the different kinds of local historical tiles that can be found in many Minnesota homes. Blanc's shop is one of only 4 studios in the country that will do historic tile restoration. Watch Josh create a tile in this MN Original short. 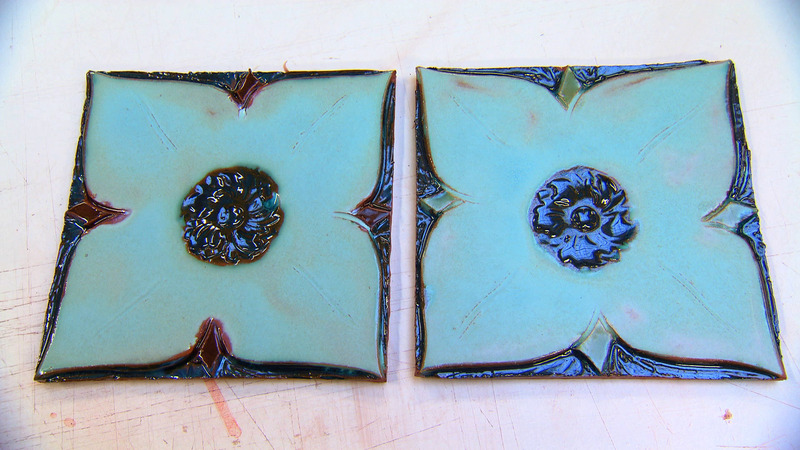 Unique tiles are made by hand by Josh Blanc for instillation in homes or for wall art.